Last week one of my beds was being overtaken by oregano. I love the stuff, but I don’t want to sacrifice half a bed’s worth of precious growing space for it. I had to harvest about half of it to make room for beets. Check out that huge bowl of oregano. It weighed in at almost a POUND. ONE POUND of oregano. 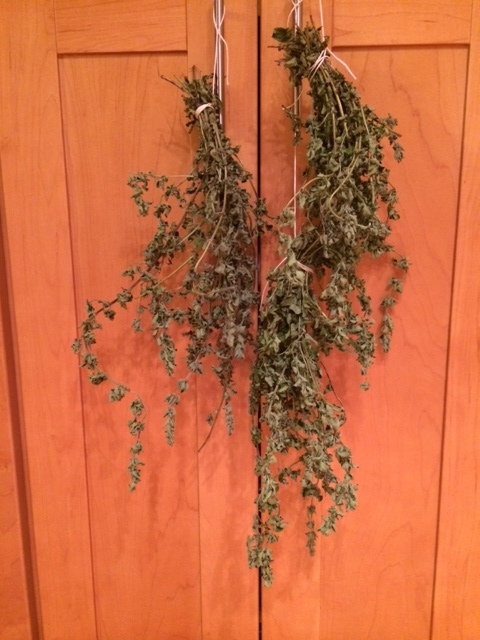 Since there’s only so much oregano one can use at a time in fresh cooking, I had to dry most of it. and it has been so hot here lately that drying went very quickly. It’s all ready to be removed from the stems and packed up into mason jars. I already had quite a stash of dried oregano in my pantry, so maybe this will end up being for gifts. What a nice hostess gift some dried oregano would make. Don’t you think? This entry was posted in Uncategorized on June 8, 2014 by seedsowingmama.